One of the greatest mysteries of the Ancient times, the Phoenicians were known as skilled scribes that left to the Western world the modern alphabet, and also as distinguished navigators that invented boat sails and redefined the Ancient world. In addition, they were skilled craftsmen whose creations were praised even by the Greek poet Homer, when he tells that Achilles received a silver bowl made by the inhabitants of the Phoenician city of Sidon during the burial of Patroclus. But who were the real Phoenicians? Although we know that they had Semitic origins, their ethnical identity remains a mystery. The modern word “Phoenician” is Greek and comes from the word “phoinikes”, whose meaning refers to the red-purple color related to the red-purple textile made by this people. The way they named themselves, however, is still unknown, and the word “Cananite” is considered by researchers the most likely to be used by them. The issue on their ethnical identity brings us another relevant issue: Did they have a national identity that bound their cities and formed a cohesive Phoenician State? 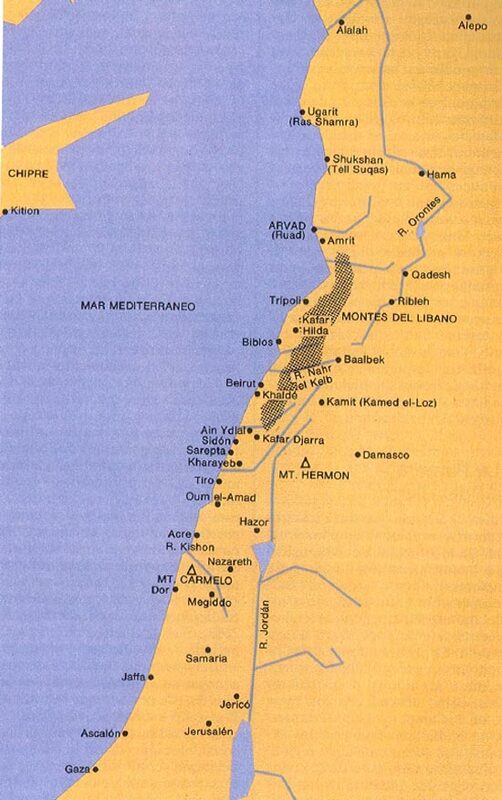 Tyre, Byblos, Sidon and Arvad were independent walled cities that rarely worked together, with rare exceptions. When it mentions the inhabitants of those cities, the Old Testament does not allude to the formation of the Phoenician State. Therefore, unlike their Syrian or Palestinian neighbors, the Phoenicians may be considered rather a traders’ confederation than a country defined by boundaries. So we may assume that sea trade, not the territory, would be the cohesion factor that could define them. The time comprised in this text goes from the High Bronze Age (approximately 1200 BC) up to the arrival of Alexander, the Great, to the Phoenician lands on 333 BC.